Last time we talked about instrument tonal quality and working together to get the right blend for the space. Now that you have the right tones, where you place the mic can make or break the sound in the room. And honestly, the placement determination varies based on the mic and what you are micing. While there is no “right” place, you want to go for the best spot for your sound. We will cover this in more depth in a future blog, but here are some good starting points to work from. Speaker Cabinets – Place the mic off to the left or right of center of the speaker so that the mic ends up centered in the cone of the speaker. Make sure the mic is placed close to the grill. Touching the grill is fine. Up to 2″ away is fine as well. Pianos – Check out what our friends at Sweetwater have to say on this subject. Drums – Micing drums is a tricky ordeal. It also may vary based on what sound you want. Do you mic the bottom of the snare as well as the top? Is my mic out of the way of the drummers sticks? We will cover this in a video that is coming very soon. The other part of this is isolation. Depending on the size of your stage and overall space, you may have plenty of space to have your amps in iso cabinets backstage somewhere. You may not. The goal of isolation is to not have your guitar mic picking up sound from your drum mics and so forth. 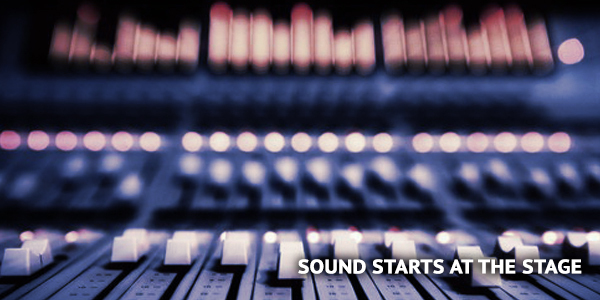 This will help your audio engineer to be able to mix a more cohesive sound. There are simple cost effective ways to help this situation. Drum cages help contain sound not only from other instruments on stage but from over powering the space as a whole. Sound isolation blankets can be wrapped around amplifiers to help contain their sound. Be sure to leave space when wrapping though so you don’t cause your amp to overheat. You can also purchase isolation shields that will help to contain the sound into a smaller space. There are many ways to accomplish this separation. If you have a room or space near your stage and the right cabling to do it, making isolation boxes for your speaker cabinets affords complete separation and tonal control. Next up… Proper Vocal Techniques.